An Inverter AC is capable of controlling the speed of the compressor motor, so as to continuously regulate the temperature. The inverter AC units might be more expensive than the non-inverter constant speed ACs, but this is balanced by lower energy bills. The inverter AC is much silent and lasts much longer than non-inverter AC, because the inverter AC runs at slower speeds and there is no wear and tear of the compressor stopping and starting constantly. Usage of air conditioners (hours/day), Energy-Efficiency Ratio (EER) of the AC unit (Generally specified by company). You can see list of our Inverter AC - 1.0 Ton 3 Star below, perform Side-by-Side comparison. If you need further help, do have a look at Conzumr Guides and Tips. Alternatively you can view all Air Conditioner to choose your own favourites. 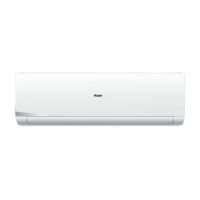 Ester 3i CAI12ES3C8F0 1 Ton 3 Star BEE Rating Star Inverter AC from Carrier, apart from impressive design both exterior and interior includes a capacity of 1 Ton with a cooling capacity of . 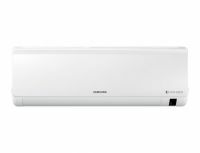 This Inverter Air Conditioner has Copper condenser coil effective to reduce maintenance cost and got a star rating of 3 Star BEE Rating. Eyecatching technology on Carrier CAI12ES3C8F0 1 Ton 3 Star BEE Rating 2018 Inverter AC (Copper, White) Auto Restart, Copper Condenser, Dust Filter etc . To Recieve updates and possible rewards for Haier HSU-13NSS3(DCINV) please sign in. To Recieve updates and possible rewards for Air Conditioner please sign in.